More Young Americans are Identifying as “Lower-Class”. Here’s Why it Matters. Despite the single-minded focus of the presidential election on economic issues, there has been a deafening silence on one economic issue: poverty. However, the case of the disappearing poor people in American political discussion is about to be busted wide open. Young Americans are increasingly self-identifying as lower-class, and if trends continue this could fundamentally change American politics. 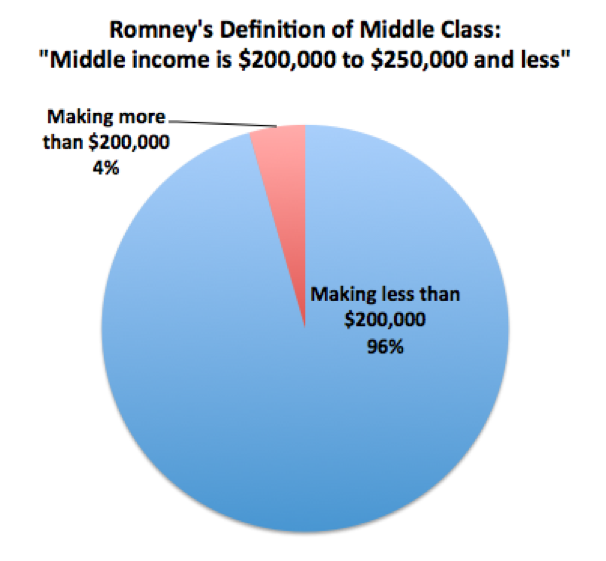 Mitt Romney faced criticism recently for defining the middle-class as anyone who makes under $200-250k a year. It’s beyond me why liberals aren’t equally outraged that Obama has been basically saying the same thing by using that exact same income level as a cut off for his demands to raise taxes on the rich. Of course Republicans don’t talk much about poverty because they don’t care very much about poor people. But the Democratic Party has also given up talking about poverty because it doesn’t poll well. Despite Obama’s background as a community organizer in the South Side of Chicago, he has virtually stopped mentioning the word “poverty” since becoming president. Often Democrats use “middle-class” as code for everyone but the rich. But I think many Democrats have actually abandoned thinking about poverty at all. It’s common knowledge among poli sci douchebag undergraduates that most Americans of all income levels consider themselves middle-class, so you have to frame every political issue as how it benefits the middle-class. Right? Wrong! According to new Pew polling, somewhere in the last few years we officially crossed the threshold—only 49% of Americans in 2012 consider themselves middle-class. Now nearly a third of Americans define themselves as “lower class”. Where is the change coming from? Mostly a big shift in Americans under the age of 30. Experiencing hard times in a recession is very different from altering your class identity. It takes a lot for someone who grew up in a middle-class suburb, graduated from college, whose parents still expect them to be a well-paid professional, and whose friends and romantic partners all come from pretty much that same socioeconomic background, to suddenly change their identity to being “lower class”, even if their official income puts them in that statistical tier. I think there’s actually a deeper-level shift going on among young people who came of age during the Great Recession. So what are the implications of that kind of shift? Lefty activist types are always moaning about the lack of class-consciousness among the American working class. Why do so many low-income people vote against their own interests because they identify as middle-class? It’s so much harder in the US to create the political pressure to reduce income inequality. No one wants to wage another War on Poverty if everyone thinks their family is the Brady Bunch. So if that changes, it changes everything. If our generation signals a new trend, in the next generation we could see broad new demands for the political system to serve the interests of low-income Americans: single-payer health care, a higher minimum wage, free universities, strong unions, affordable housing, real public transportation and a return to 1950’s-era taxes on the rich. A change in the identity of millions of young Americans could mean no less than a reemergence of the political power of the working-class.